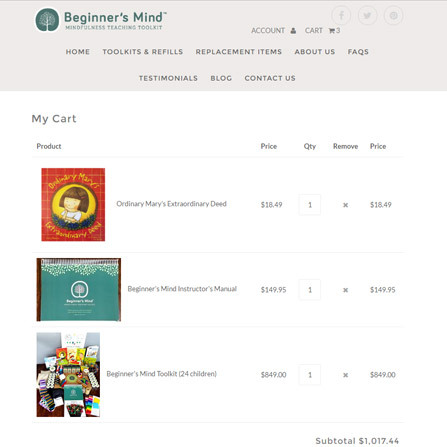 Beginner’s Mind is a complete educational toolkit with instructional manual and materials to promote peace and well-being in children. 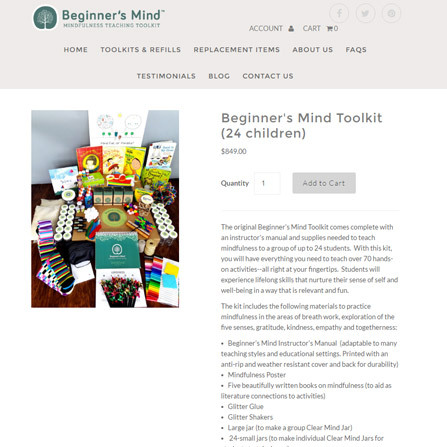 Together, with instructions and all materials needed for activities, the toolkits contain everything educators need to lead students in over 70 simple but mindful awareness activities. It was our client’s goal to make their resources available online for purchase, and our goal to deliver a beautiful and effective eCommerce website. 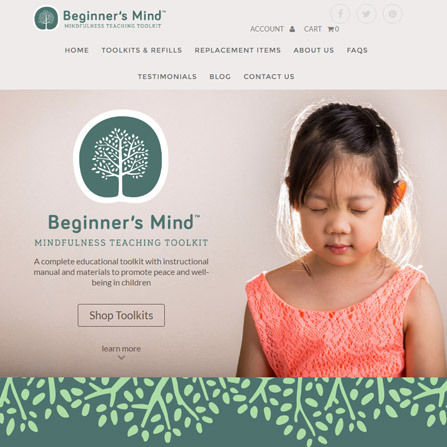 Through the use of impactful imagery and clever graphic design, the new Beginner’s Mind website is as functional as it is charming.